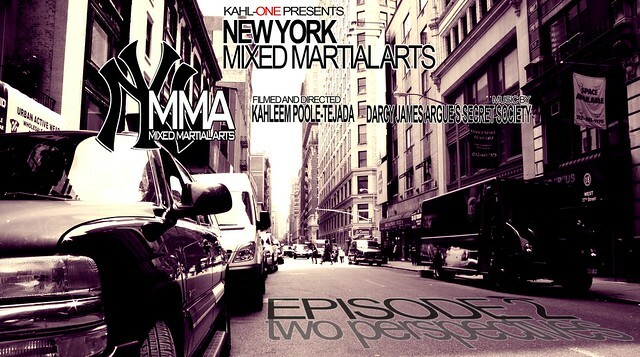 New York MMA is a web docu series dedicated to educating and giving exposure to the schools, gyms and teachers who make up the DNA of martial arts within New York State. In Episode 2, we bring you two stories. One of a young up and comer and one of a wise veteran. Angela Hill trains out of Evolution Muay Thai, with gym coaches Brandon Levi and Rene Driefuss. This chronicles her last training day before heading to downtown Wall Street for an amateur Muay Thai bout. On the other side, we venture back to Ultimate Gym, hosted by Kru Nestor Marte. An old friend comes to visit, giving words of wisdom, his perspective on training students and a glimpse into the politics of Brazil's martial arts culture. If you missed Episode 1, click here: Episode 1.